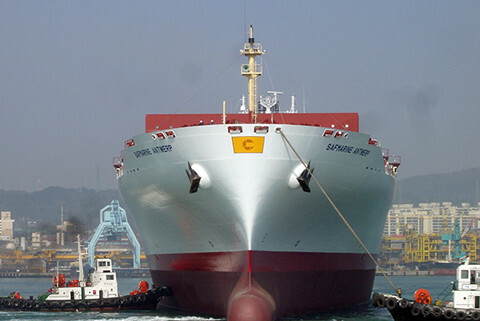 Costamare Inc. is a leading international owner of containerships. Through its subsidiaries Costamare Inc. ("Costamare") owns a fleet of 78 vessels (the Costamare fleet) aggregating approximately 548,000 TEU, including five newbuild containerships currently under construction. Eleven of our containerships, have been acquired pursuant to the Framework Deed with York Capital Management by vessel-owning companies in which we hold up to 49% equity interest. Costamare serves liner companies that demand a high standard of safety and reliability and are, in most cases, among the world's largest liner companies. Costamare and its predecessors draw on a history of more than 45 years in transportation of goods by sea, with more than 30 years of these in container transportation. Costamare's strategy is to time charter the Costamare fleet to a geographically diverse, financially strong and loyal group of leading liner companies. In fact, most major international liner companies are customers of Costamare Inc. Among Costamare’s Inc.'s customers of recent years have been Maersk, MSC, Evergreen, Yang Ming, Cosco and Hapag-Lloyd. The Costamare fleet can meet a variety of customer needs. The high-quality containerships of various sizes (including feeder, panamax and post-panamax containerships) serve short, medium and long-haul routes on a variety of geographical trades. The Costamare fleet has an excellent reputation for smooth, interruption-free service, approaching utilisation levels of 100% (excluding scheduled maintenance). While providing a high level of service to its customers, Costamare also manages its business with the utmost concern for the safety of its people and the environment.